This piece, like my other earlier ones, is a purely intellectual exposé meant to make sense of the emerging post-election challenging developments. Although I am under advice to maintain a level of reticence I consider it a national service to do my bit to help dispel the ugly spectre of tribalism that is threatening to surface in our tiny nation. In Part, I of this piece I sought to rationalise as to the reason Ernest Bai Koroma’s APC (All Peoples Congress party) standard-bearer – Dr. Samura Kamara – was roundly rejected by the electorates in the Southern and Eastern regions of Sierra Leone in the recent presidential polls. In this Part II, I’ll try to rationalise as to why an unexpectedly large number of electorates in the Northern and Western regions – usually considered the APC stronghold – also rejected the APC presidential candidate. It is a truism that we never get to know anybody well enough until he’s given power and wealth. In the contemporary Sierra Leonean – in fact, African – context, the person only needs to be given unfettered power, as wealth will automatically follow. This statement is most apt in the case of President Ernest Bai Koroma. Here is a man who before he became president was described variously as “gentle to a fault’, “can’t kill a fly’, “one of the most detribalised politicians in Sierra Leone”, plus other superlative accolades. I can personally attest to these accolades because I belong to the Squash fraternity as he was (still is) a towering figure. After 10 years as president – with all the associated power and wealth – my Squash loving President Koroma has been variously referred to as “the Siaka Stevens type of politician”, Sierra Leone’s Machiavelli”. Meaning he is a very unscrupulous and crafty politician with an insatiable appetite for personal power and wealth. 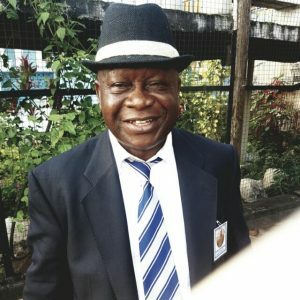 The unbridled corruption and attendant hardship brought into the lives of ordinary Sierra Leoneans which he has presided over and other administrative shenanigans has greatly undermined the enormous appeal his All Peoples Congress once had among the ordinary folks of Northern and Western Sierra Leone. His latest maestro stroke of single-handedly choosing his successor (from a pack of more than 10 serious candidates) instead of allowing his party caucus to participate in the process and garnishing this action with the reported veiled threat that he was still Commander-In-Chief of the Armed Forces of Sierra Leone was perhaps more daring/cavalier than former President Siaka Stevens would have attempted. The resulting disaffection cascading to the loyal supporters of his party may well have dealt a death blow to his party and may turn out to be his political demise. It is widely believed that the unexpectedly low appeal for APC’s Dr. Samura Kamara (as expressed in votes cast) therefore has little to do with the candidate himself but everything to do with his godfather – President Koroma – and his legacy of rampant corruption, widespread economic hardship, tribal and regional marginalisation, cronyism, disrespect for the law of the land, for transparency in handling of our national wealth (by his persistent ignoring of the Auditor General’s reports), and for the sanctity/sacredness of democratic institutions. If sane electorate voted against Dr. Samura Kamara (a very friendly, suave and now “honest” gentleman) simply because of his tribe then that person will belong to the minority. 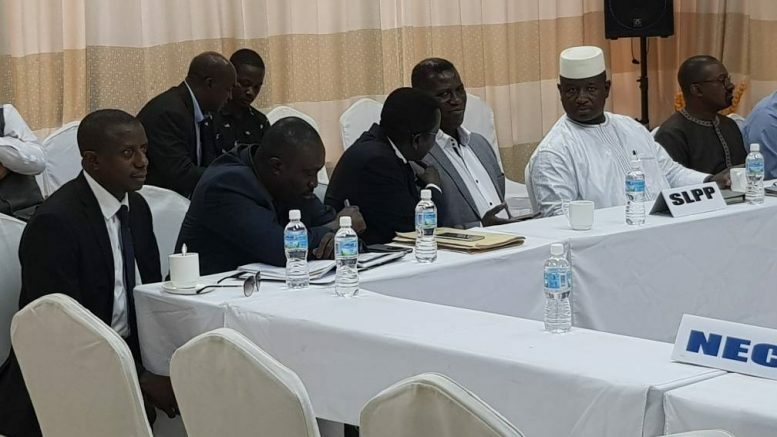 The dilemma is that Dr. Samura Kamara cannot dissociate himself from the ugly legacy of his godfather while singing the mantra of “continuity.” It will be suicidal if he attempted to do so. The same disease afflicted Solomon Berewa of the SLPP, who, haven being almost single-handedly chosen by outgoing President Ahmad Tejan Kabbah as his successor, tried to a mind of his own and chart some level of independence. Some say that move angered President Kabbah who conspired to ensure that his chosen candidate – Solomon Berewa – lost the presidential elections in 2007. It is a fact that when a general election is conducted on a platform wherein an outgoing Head of State is determined to succeed him/herself by handpicking a pliable candidate to contest in his stead – like in the present case of President Koroma and his handpicked potential successor Dr Samura Kamara – that election becomes more of a referendum on the stewardship of the outgoing head of state. In this case, Dr. Samura Kamara is more like a pawn intended to be used to shield/protect the out-gone president if the pawn succeeds to win the elections. This, to me, is what largely informs the pattern of voting in the last general elections. My take is that those who voted against Dr. Samura Kamara simply because of his tribe or those who voted for the Rtd. Brigadier Maada Bio solely because of his tribe must be in the minority and I believe it will continue to be increasingly so given the investments in informed voting campaigns/crusades. During this 2018 general elections people voted largely to end or reduce the blight of extreme/dehumanising poverty and want, hunger, illiteracy, and disease brought about by a bullying/cavalier government that plundered their wealth with impunity. The video showing the irresponsible and disgraceful behaviour of Thomas “What-A-Man” Koroma – younger brother of President Koroma – flaunting his ill-gotten wealth while provoking hapless Sierra Leoneans into righteous anger has been trending on social media for several weeks now. The sight of that video alone could have influenced the vote of quite a number of Sierra Leonean electorates. Thus, those who are whipping/stroking tribal sentiments in order to achieve their parochial goals are at best disingenuous and must go back to the drawing board. The realisation of the negative impact of President koroma’s ugly legacy on the March 7 general elections has caused the Presidential Candidate for the APC – Dr Samura “Honest” Kamara (who has again confirmed the extreme marginalisation of Bonthe District – he wept when he discovered the sorry state of the infrastructure in our district – as well as that of Kenema Town) to want to cleverly veer the runoff campaign focus away from a referendum on the Koroma legacy to instead concentrate on the personalities of the two presidential candidates in the march 27 runoff. Dr. Thomas B. R. Yormah is Associate Professor of Chemistry at Fourah Bay College, University of Sierra Leone. You can reach him by cell phone at Tel. +232 76 626488; +232-30 230500 or by email at tyormah@gmail.com also tom_yormah@gmail.com. Be the first to comment on "2018 General Elections in Sierra Leone"